I could say I’ve been writing nonstop. But that would not be the complete truth. I could say that my grandchildren have occupied a bit of my time. I suppose what you must take away from this is that it may be hitched to both of those truths. Perhaps something in between. But in the sit downs ideas were brewing. Amazing how ideas find you. Like the afternoon millions of years ago when I awoke from an afternoon nap. The entire plot was in my head. I wrote my first book. But as you know the first book is never the one you end up publishing. My recent idea for a new series came when I was busy. Doing what I don’t remember. The idea of a Fairy Godmother in 2019 just popped into my head. And it nestled there for months. The woman giving me inspiration was Agnes Moorehead. Remember her from the original Bewitched series? She’s also on a number of classic radio shows. Anyway, I could see her as my Fairy Godmother in modern New York City. After I’d finished it, my editor said that what I’d written (without realizing it) was an Urban Fantasy. She said it was a winner,. Maybe one reason I enjoyed writing it so much was that I loved the freedom it gave me. But for those of you who loved my African series, do not worry. Annabelle and Baloyi are deep in trouble again following leads from the New Scotland Yard. It takes you through Zimbabwe and South Africa. Third in the series. will be out in 2020, following MIDNIGHT IN MALAMULELE and MIDNIGHT REDEMPTION. SALINA, KANSAS – A funeral had caused my sister and I to meet in Dallas. She had flown in from Denver and I was finishing up the last leg of a very long road trip, cutting the last week out completely. Exhaustion had hit as we walked out of the burger joint in Salina, Kansas, ready to make the final approach to Denver. A jean-clad stranger with gray stubble walked over to us. “Would you come over here? I want to show you something.” Wanting to get home at this point, I resisted at first when he motioned us forward. That and the fact I’d never seen him before. We walked with him a short distance and then stared in the direction he was pointing. 50 yards away I could see what appeared to be a frail man who’d tucked a rolled up blanket tightly against the seam of where the building meets the concrete parking lot. He knelt in a heap, his back to us, facing the brick wall. My first thought was he was seeking privacy in the worst way by making himself appear as small as humanly possible. However, he didn’t realize from where we were, he was on stage in plain sight. I stared for a few seconds, then turned to the stranger beside me. In as gentle a voice as I had, I said, “He’s praying.” I hesitated. “He’s not hurting anyone – he’s just praying.” I paused and turned to return to my car. “Yeah, but they pray before they blow somethin’ up,” the man said. There may have been a slight pleading in my voice as I turned back to him “He’s just praying.” As I turned to go, the man snorted, “Well, you know, I pray.” But his attitude was defiant and to whom he was speaking, I wasn’t sure. A few hours later I dropped my sister at her house and headed home. But for the life of me, I couldn’t stop that scenario replaying over and over. It had taken up permanent residence with me. And here’s what troubled me. It’s true, there is an infinitesimal chance that the man could have been preparing to light up the sky. But as it so happened, nothing happened. The man was simply praying. I checked arrests for that Thursday and recognized no one. And, Salina, Kansas is still there. It is true we live in a time where we must be cautious. We are inundated with news stories that create fear, much of it unwarranted. Still, scared people create fear, causing others to overreact and ostracize those who look and sound and pray differently than we do. I believe we must hold to a simple fact. We the people of these United States descended from people arriving on our shores seeking freedom. People who spoke no English, people who were poor, who came here for religious freedom. Caution is important, but common sense has to prevail in the end or we become someone we may not recognize. I sit here at the corner Page and Palette, Inc. bookstore coffee shop enjoying the local color. Two guys on computers hold down a long bench near the wall, and a table of seven friendly regulars discuss events of the nation. Modern two blade ceiling fans twist in the air, two adorable young women behind the open counter sell mostly regular coffee, but crank out any kind of latte you want, and to the left is the double entry to the amazing, home-grown, independently thriving bookstore, Page and Palette, Inc. I am in Fairhope, Alabama, where I am renting an adorable bungalow while I wait for the arrival of the final proof of my second book. 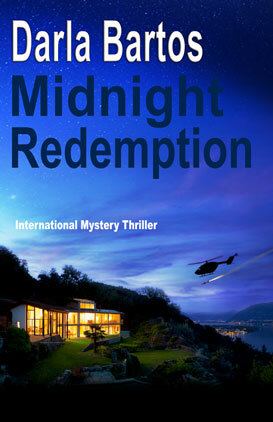 After I give my final approval, Midnight Redemption will be available for order. Both paperback and e-book. Why did I come to Fairhope? Yep, book 3 coming up! Sitting with new friend Ann Corcoran in Fairhope. Reminds me of Paris! And much more relaxing! Amidst a backdrop of exquisite beauty, South Africa holds a dark secret while Annabelle Chase, an American crime reporter, joins the Limpopo Task Force to end a string of bizarre murders. 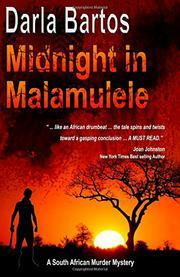 Malamulele detective N. F. Baloyi is bent on solving the murders, but Annabelle questions his commitment. After all, Baloyi’s own brother is one of the killers. A beautiful season hanging on for a few more days, I’m rejoicing in a few things I’ve done right this year. I’ve reached a new plateau in my life. I can confidently announce that I have quit a bad habit. My physical therapist emphatically said that if I quit crossing my legs that my back pain would improve. Honestly, I didn’t believe it and normally would have discounted her suggestion, but my youngest daughter was with me during that appointment. As you can imagine, my daughter gently, but repeatedly, reminded me to uncross my legs so often that the next day I decided I would draw up my strength and give it a try. After all, I was in charge here, right? I realized that only I, myself, had control over changing my situation. I had to decide to do it. After a couple of months now, I can happily announce that I’ve been successful. Who knew? A personal habit becomes a part of us. And it’s comfortable like an old shoe. But why was this habit so important to me? As I began to deconstruct it, I realized it probably began in cramped spaces like movie theaters or flying across country. But there was something more. I discovered that crossing my legs gave me a sense of confidence. An example. When I worked at a PBS affiliate years ago, I crossed my legs and leaned in toward the camera when I spoke to the audience. I felt strong, confident and in control. Now, I can’t strike that pose. Even for book club. Of course, I’m not the only one who uses a habit or gesture. It turns into a good luck charm for some. Like a baseball pitcher who takes his hat off, spits, then puts it on again before he tosses one across the plate. Changing is possible. The secret for me was to realize that I had control and that I could actually change. And then do it. But can something so small really make a difference? My back pain, along with exercise and walking, seems to be improving. And, I can’t discount the fact that I no longer cross my legs. It may be a small thing, but a small thing as we all know in other situations can make a huge difference. The power to discover you can change a habit is empowering.